Bali Arts Festival or also known as the Bali Arts Party is one of the famous cultural festivals in Indonesia. This festival is an annual event and usually held every June for a full month with a theme that is always different. Besides aiming to promote and preserve the culture and tourism in Bali, this festival is also a venue for artists to express all forms of creativity and creative works of art they have. Artwork displayed certainly is qualified and best. At first, the Bali Arts Festival or the Bali Arts Party was initiated by the late Prof.Dr.Ida Bagus Mantra in 1979, at which time he served as the Governor of Bali. Bali Arts Festival is held for two months of which took place on June 20th, 1979 until August 23rd, 1979. 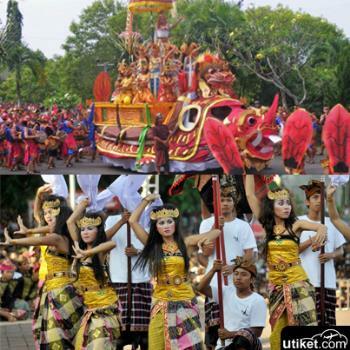 Currently the basic organization of this festival is the Bali Provincial Regulation No. 07 Year 1986. During the journey of history, this festival is always opened by high state officials. In this festival, the artworks displayed imply sincere exemption and called Yadnya in the teachings of Hinduism. So no wonder if every artist participating in this festival will always present their best works of art. Many events are held in this festival, such as exhibitions, cultural events, contests and several other related activities. Festive atmosphere of this magnificent festival is always able to attract both foreign and domestic. 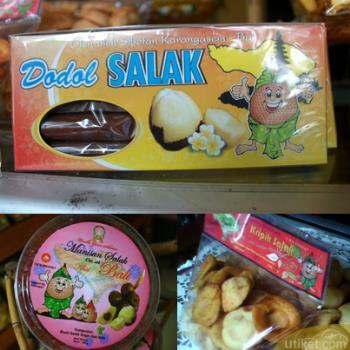 For tourists, in addition to taste some Balinese food provided at several counters in the festival, they can also learn a lot about the local culture and rural areas in Indonesia. You can also see some classical dances of Bali in this festival. This festival is one of the colorful festivals that are worth for you to watch.